Irfan has been a strong advocate for basic human rights and civil liberties all his life. Irfan has focused on protecting and defending vulnerable Albertans. From introducing the Alberta Child Benefit, to indexing benefits like Assured Income for the Severely Handicapped with inflation, Irfan has proven that he cares about providing all Albertans with a better quality of life. 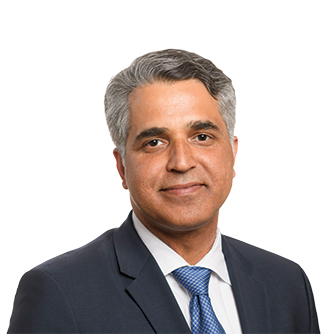 Irfan has worked with law firms specializing in First Nation and Aboriginal legal arbitration and legislation, the Salvation Army’s Centre of Hope and several non-profit organizations. He has volunteered with Red Cross Canada, Calgary Legal Guidance and the Asian Human Rights Commission. Since growing up and getting his early education in Kashmir, Pakistan, Irfan has called Calgary home since 2004. He has Masters degrees in Economics and Social Work, as well as a law degree from the University of Calgary Law School. Irfan Sabir and Rachel Notley's team are setting the course for a future that is for all Albertans, not just a select few. There's no room to turn back and undo our progress. Donate today to help elect Irfan Sabir and join the fight for Alberta's future.